Made with single origin Certified Organic, Direct Trade Virgin Cacao Butter (35%) from Peru and sweetened with Organic Evaporated Coconut Nectar, our chocolate bars are hand-made in Melbourne. 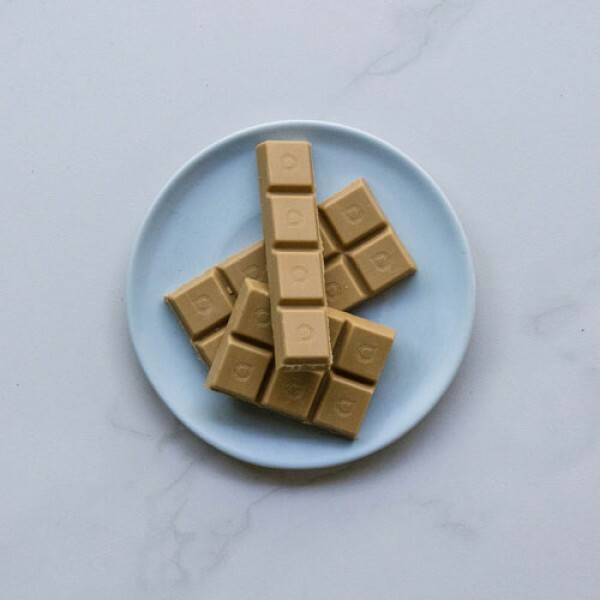 This is our take on white chocolate - it came out with a golden Javanese tan! 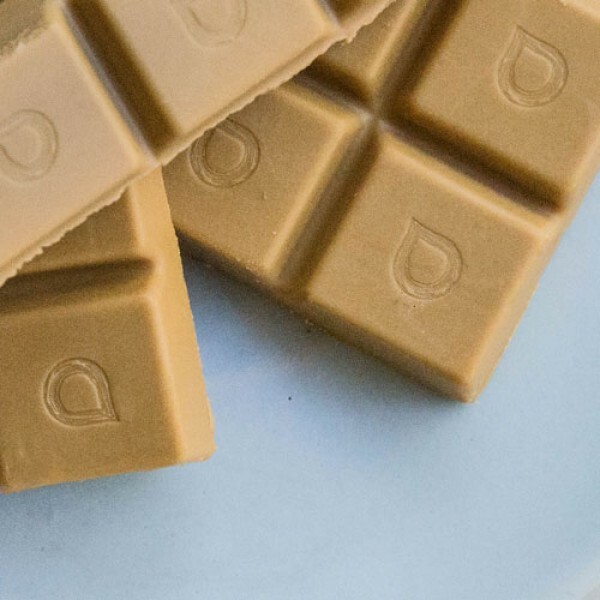 Combining Cacao Butter, Creamy Cashews, Coconut and our secret weapon Javanese Evaporated Coconut Nectar we have created this amazing ‘melt in your mouth’ caramel experience. 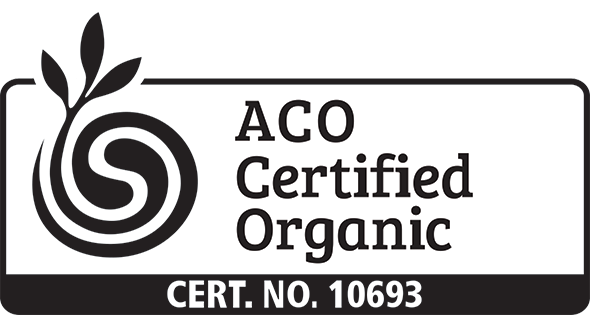 The Cacao in this bar has been certified organic by Control Union according to their Fair Choice standard. We also support the Criollo community by helping them add as much value as possible to raw materials at the point of origin. Please Note: During the warmer months our chocolate can sometimes melt in transit. There is an increased chance of this in the case of our Caramel Chocolate since it includes raw cashews and whole coconut flesh, both of which contain healthy oils with a low melting point. Please click here for more info on how to best avoid this when ordering and storing your chocolate. 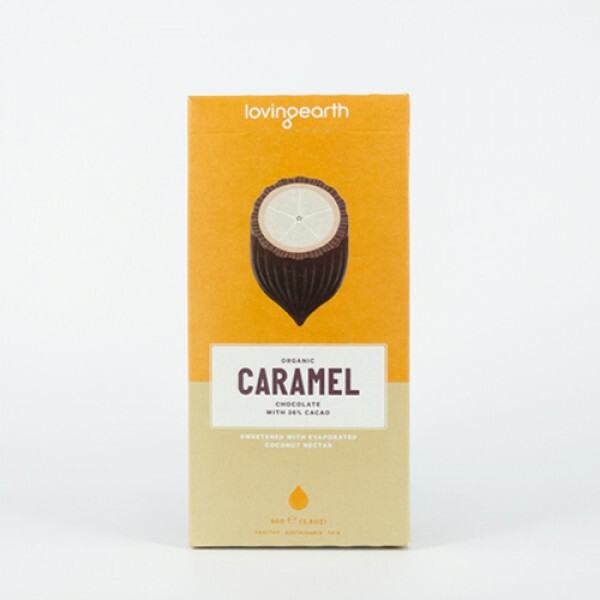 Just a few squares of Caramel Chocolate will provide you with a luxurious and decadent experience.